Why is financial literacy a necessary skill for couples in today’s evolving world? According to a survey done by the Huffington Post, the #1 cause of divorce was NOT infidelity but Financial Stress (and this is gradually becoming a worldwide trend!) Surprised? Well, don’t be. Financial compatibility is very important to the overall health of a relationship because it is a powerful indicator of how other areas will manifest. Is money used as a tool to control and manipulate OR as a tool to empower and create a more loving relationship? A couple’s mindset on money matters often influences their individual and collective approach to life in general, their faith and how they worship God, their parenting styles, how they show emotions, their spending/saving habits, how they accumulate and view debt, how they solve problems, their relationship with in-laws and other extended family members, their ability to plan, be responsible and the actions (or inactions) they take. Is financial literacy important for couples? You bet it is! The present economic climate has changed the dynamics of most relationships, there’s a lot of unpredictability in the business and work environments. Coupled with the fact that women are increasing becoming more educated, thus taking advantage of more career opportunities, the dynamics in most homes have changed. Furthermore, the era of clearly defined responsibilities for each party in a relationship are fast coming to an end. Most men are no longer the primary breadwinner. Sometimes, not as a result of choice or abilities but because of the opportunities available and the rising cost of living! Yes, it is indeed time to make ‘money-talk’ part of your ‘pillow-talk’. There’s a pseudo reversal of roles and in some cases, a total blurring of lines regarding the roles for each person in a relationship. These changing dynamics should be embraced and managed with healthy strategies. We all know what happens when members of a team have no clear ideas of what constitute their roles/responsibilities: CHAOS, RESENTMENT, STRESS, BREAKDOWN OF COMMUNICATION etc. Besides, we now live in a ‘purpose-focused and empathy-driven economy’ in which more and more people are turning their passions into businesses and taking the non-traditional routes to financial independence and freedom. This often takes a toll on the financial stability of a family. Financial stress is real and must be addressed in time before it degenerates into something more serious! 2. As a matter of priority, women must begin to take a more proactive role in the overall financial well-being of their families. This is a role that has been traditionally reserved for only men. Now, more than ever, men seek partners in progress and not merely dependent spouses. And vice versa. Both parties must respect the fact that each person brings value to the relationship. You have something to offer, even if you are a stay-at-home mom/housewife, your ideas and insights are worth more than gold! A team of two offers better perspective than a single individual. Working together also reduces physical, mental and emotional stress and conversely, increases the couple’s ability to bond with and respect each other. 3. Couples must focus on what they want to achieve with money rather than money in itself. Establish the short and long-term goals of the family and also your individual goals. Be specific in mapping out your plans on the type of life you want to live: the home(s) to purchase, cars, children’s education, budget for caring for your loved ones (parents, siblings, family members), mechanism for giving back to society/charities, tithing, set aside funds for fun, entertainment, travel and leisure, professional and personal development/education, retirement and legacy plans (wills, estate planning, trusts) etc. 10. As you adapt to the ever-changing economic and environmental realities, make sure that all your actions are hinged on basic universal/faith-based principles of love, respect, reciprocity and accountability. Build your financial foundation God, on the divine and universal principles. Make your plans from a place of deep faith, contentment, wisdom, abundance and authenticity! Avoid a head-space and mentality of selfishness, consumerism, ego and lack/mind-poverty. Remember, if the biggest problems in your relationships are money problems, you really do NOT have any serious problems! Celebrate your health, your family, your friends and your passions. Money is merely one of many fruits in life. It is a tool and NOT an end in itself! Focus on the seeds, on the roots and you will enjoy a joyous, purposeful life. Look around and within you, count your blessings and enjoy your relationships. In conclusion, couples must rise to the occasion and be consciously involved in charting and implementing a joint financial plan, together. They should develop a financial blueprint, be on the same page in order to build sustainable wealth, live a fulfilling life and leave an enduring legacy behind. If you plan well together, you’ll plug your ‘leaks’ and discover that you ALREADY have more than enough. Interested in learning more tips about navigating financial stress? 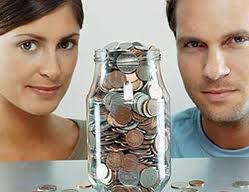 Send us an email (info@wholewomannetwork.com) and sign up for WWN’s Financial Literacy Program for couples. We use Faith-based Principles of wealth, Neuro-Linguistic Programming, Adlerian principles and plain old ‘common-sense’ to change your money blue-print/DNA and redefine your ‘wealth’ mindset. Money is not just tangible, it is also an energy. Discover how to live a happy, purposeful life of abundance and not one of ‘lack’ (no matter how much you earn). Learn how to view ‘money’ as a conceptual tool and gain mastery over it! “A family that Prays together, Plays together, Saves and Invests together, most likely stays together and happily so! Time to make ‘money-talk’ part of your ‘pillow talk’, resolve your ‘small’ money matters today before they become serious life matters tomorrow! Live Powerfully, Passionately and Purposefully. ← Celebrate Valentine’s Day @ the Love Train Revue 2013! Ima, thanks for visiting our blog.